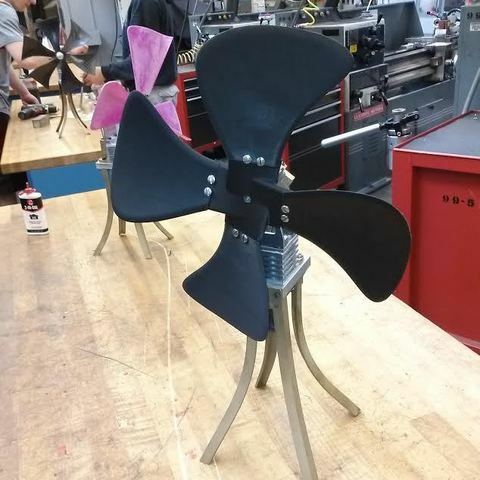 This was a project I did for a sterling engine powered fan. These blades create a decent amount of thrust! Printing them can be tricky. I recommend you print them upright and rotated about 10- 15 deg about Z. Print on low res with a raft. Print these at 210 C and 70mm/min. The thin features at the blade will curl up if you are too hot and too fast. Slow down, cool off and let these print. This model was trimmed to allow you to print it upright. Orient the model with the trimmed edge on the build surface. Should be as easy as rotating by 45 degrees. Print with raft and support. Sorry for the large file. I exported as fine as SolidWorks would allow.